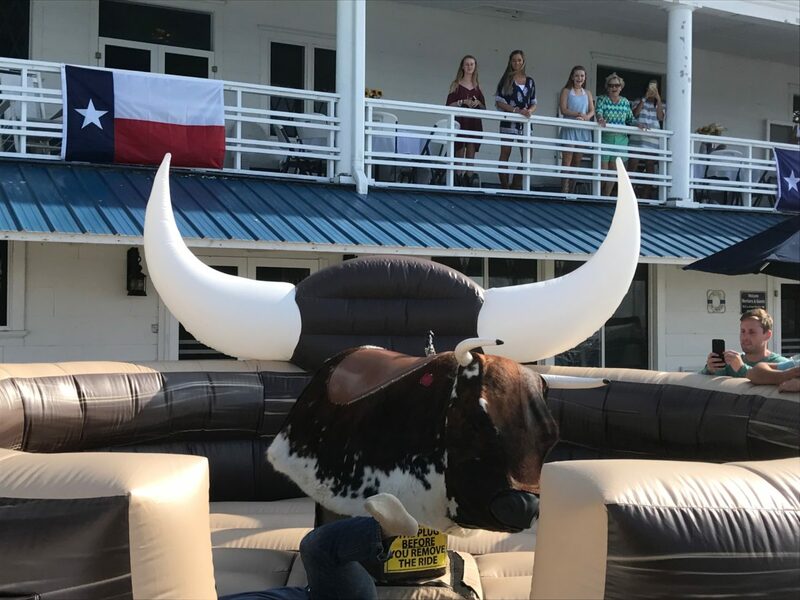 Get ready to be bucked and spun on Butch, our mechanical bull! Butch is great for practically all ages! He is “tamed” and controlled by our trained and experienced staff, so all of your guests and riders have a exciting and SAFE experience! 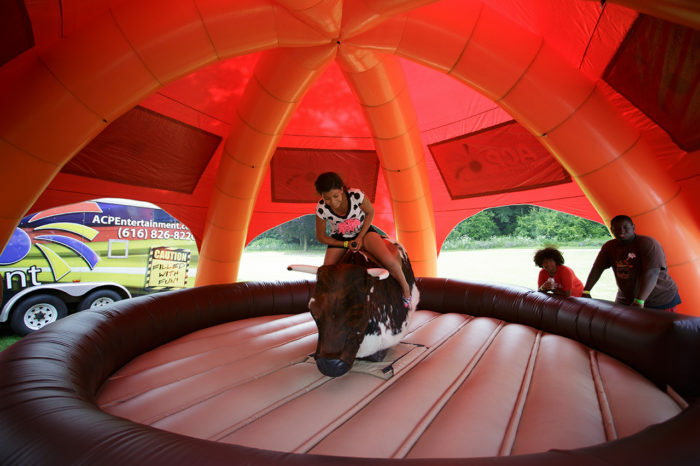 Mechanical bulls are fantastic for schools, church functions, college events, company picnics and any other western or country themed events. 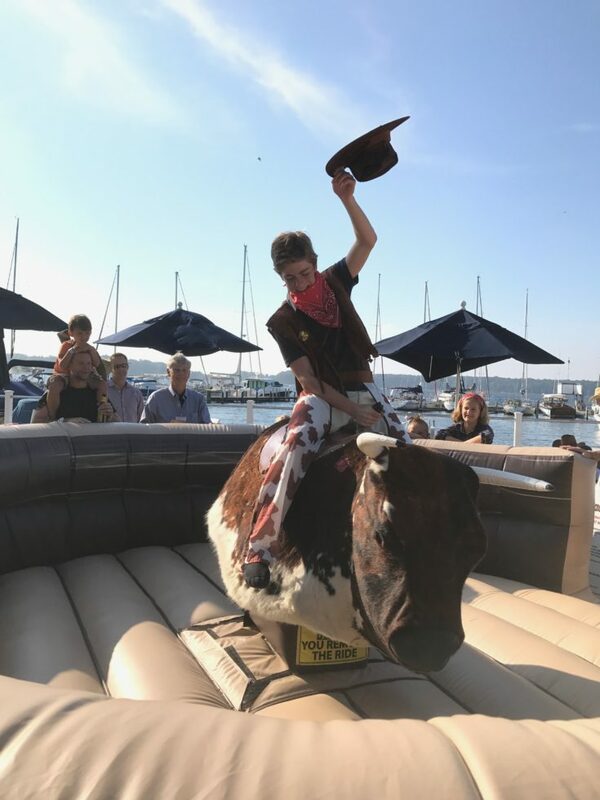 Rent Butch the Mechanical Bull in Grand Rapids and surrounding cities for your next event! Mechanical bulls are known to violently buck and throw people off and are thought to typically be found at a bar or club. 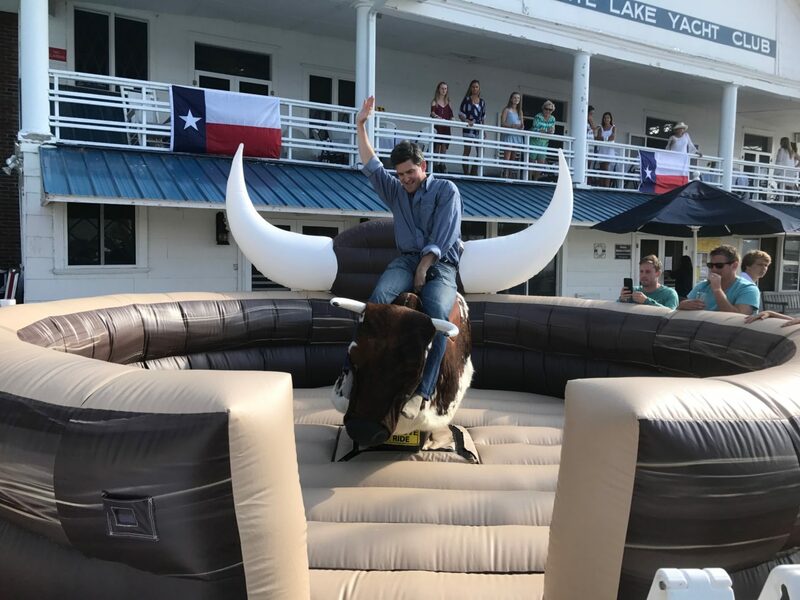 Unfortunately, those are also the same common misconceptions that many people have about renting a mechanical bull which is just not the case. At ACP Entertainment, our top priority is safety which includes carrying safe and reliable attractions. As with anything, there is always an inherent risk involved but we constantly strive to reduce the risk as much as possible. Reducing risk starts with the attractions that we rent and we would not carry an attraction that we know has a high risk of injuries. So, are mechanical bulls safe? The short answer is yes, our mechanical bull is absolutely safe. However, not all mechanical bulls are created equally, so for the long answer keep reading. 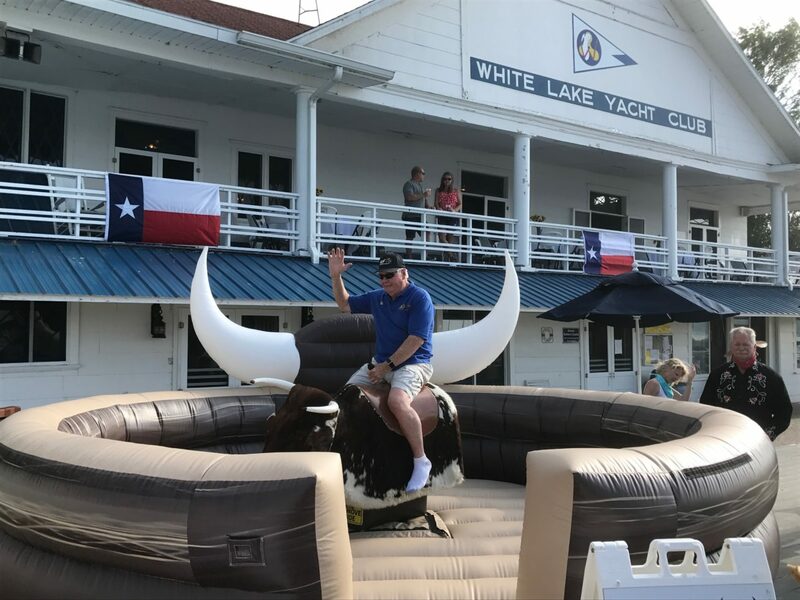 In addition to the technical safety factors of our mechanical bull, the ride is always operated by our trained and experienced staff members. 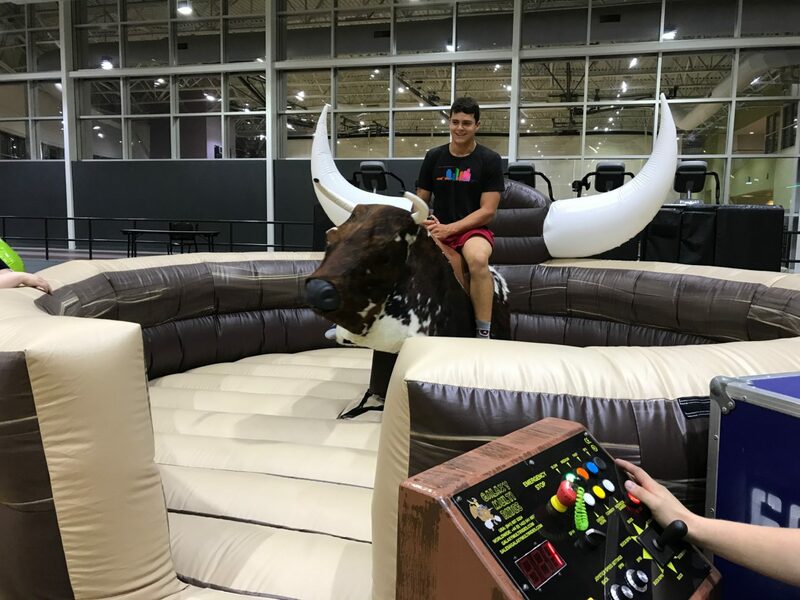 Our operators are required to have their full attention on the person riding the mechanical bull while the ride is in motion so that the moment that the rider is about to fall off, the bull is stopped immediately. 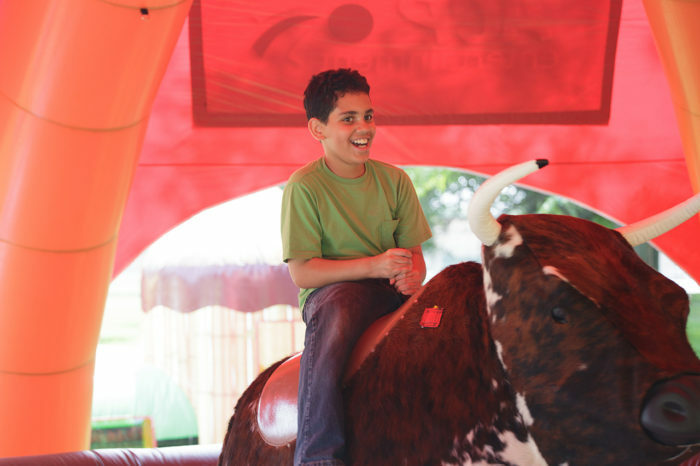 We like to call our mechanical bull the “family friendly” bull because almost all ages can ride it. 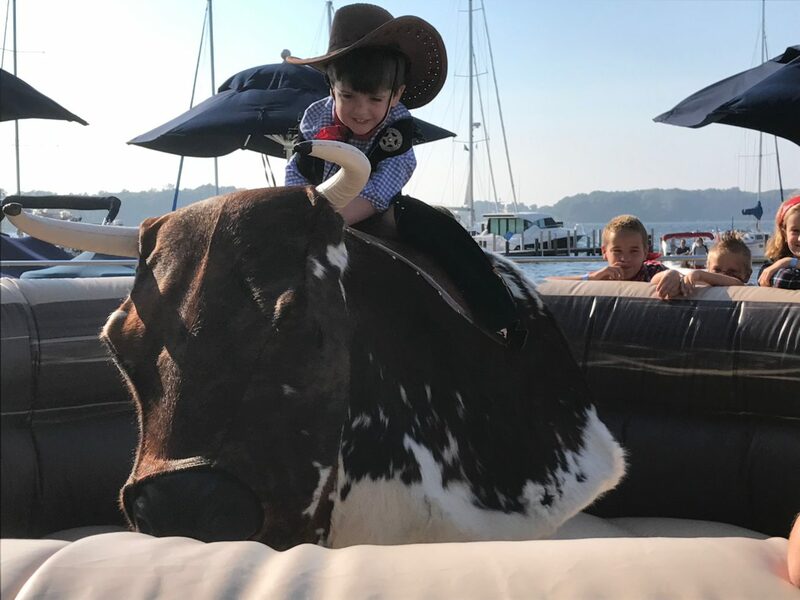 For the smallest of riders, parents are allowed to stand on the inflatable holding their child while the bull slowly rocks back and forth. Basically it’s just enough for the child to experience a “ride” on the mechanical bull. For all other riders, the ride starts on the “Easy” automatic preset, will slowly work their way up to the “Medium” automatic preset and then finally the “Hard” automatic preset. 90% of the riders will not make it past the “Slow” preset and if they do, they must have stayed on for at least 80 seconds before advancing to “Medium.” If the rider continues to hang on after another 80 seconds, then the ride operator advances to the “Hard” preset. 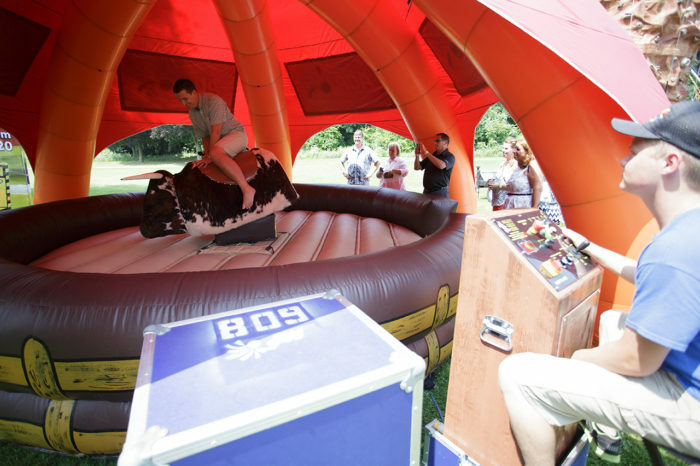 So the long answer is still yes, our mechanical bull is absolutely safe. If you have further questions about our safety procedures or features on the mechanical, please call our office at 616-826-8220.